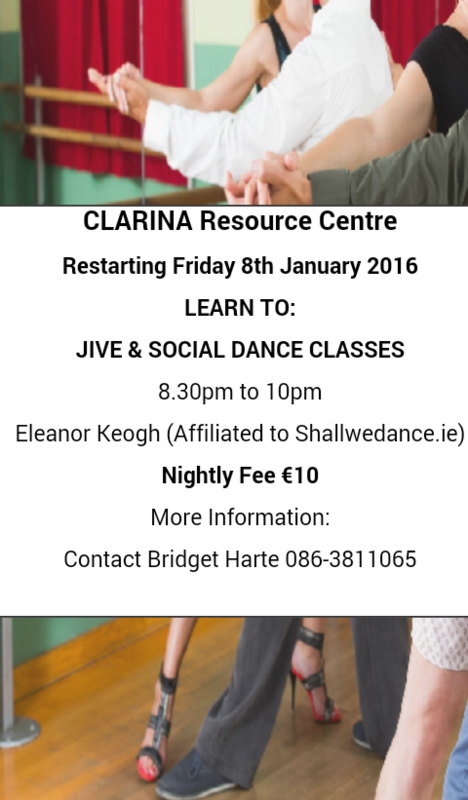 LEARN TO JIVE AND SOCIAL DANCE CLASSES continue in the Ballybrown/Clarina Community Resource Centre on Fridays from 8.30pm to 10pm. Nightly charge is €10. All welcome. RATHKEALE & DISTRICT HISTORICAL SOCIETY : Rathkeale & District Historical Society begins its Spring season of lectures this Friday night, January 29, in the Community Arts Centre in the local area offices of Limerick City & County Council at 8.30pm.. This is the night when local historians are centre stage and the programme is: “Graveyard Iconography” by Mary Kury, “Irish Chaplaincy in World War 1” by Alan Johnson and “O’Donovan Rossa in Rathkeale – 1894”. Each talk will reference specific local elements and will be of interest to anyone with an interest in history. These local talks attract the largest attendances each year and you are cordially invited to attend. Situated above the library theCommunity Arts Centre is accessible by lift and by stairs and all lectures are free of charge.